No one in the headlines is safe from the side-splitting satire of the Capitol Steps, the only group in Washington attempting to be funnier than Congress. 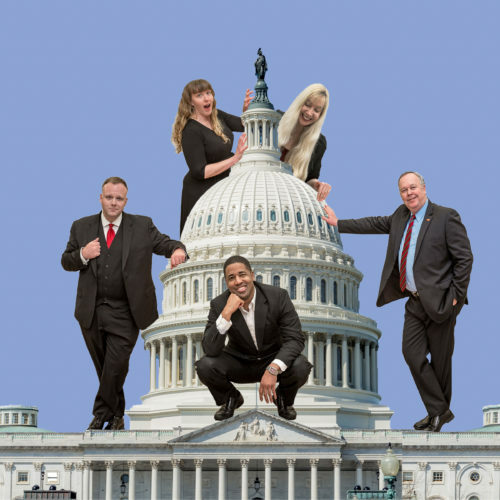 This troupe of former Congressional staffers travels the country satirizing the very people and places that once employed them. Pre-sale tickets available now with promo code. Tickets on sale Thursday at 10am.